Not much blogging action for you this week guys as it’s a very short week for me as I’m just about to head out on a “triple header” of weddings…yep, three in a row, which will be my busiest weekend of the year…and we’re only at the end of March. 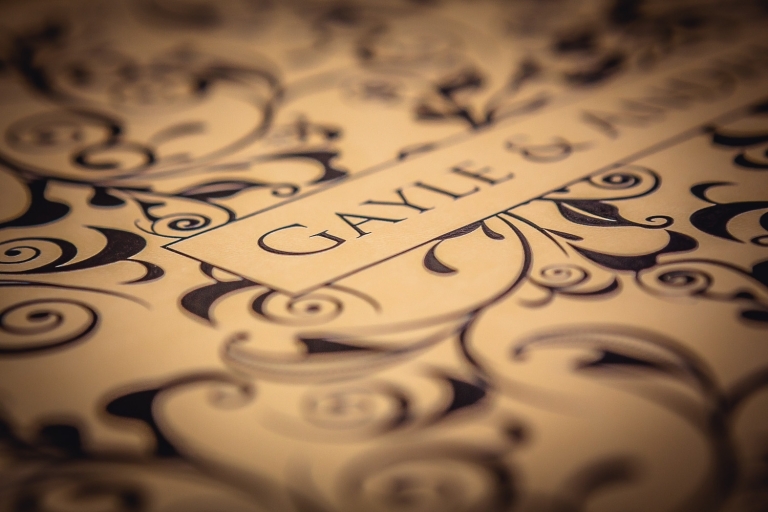 Still, do have time to post up an album design from the latest to head out to the door, this time from Gayle & Andrew’s day at Balmule House back in July last year…one of the sunniest and hottest days of the year!!! The guys opted for the top of the line “Original Wedding Book” from my lab, Graphistudio. 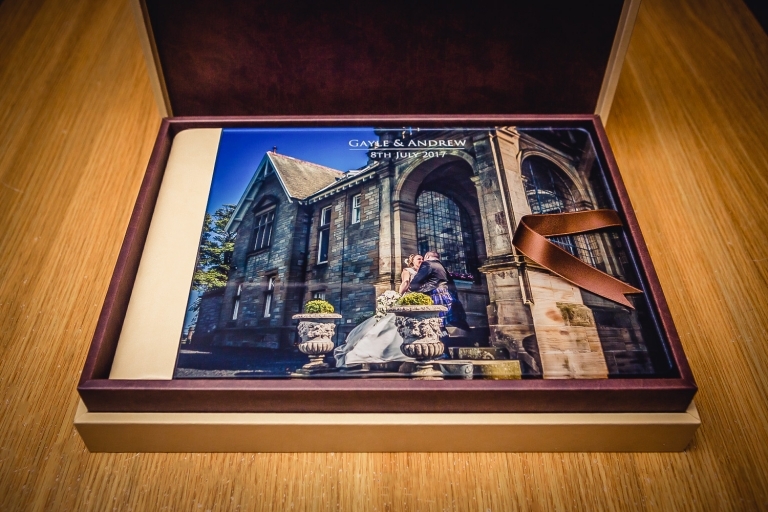 Both the album binding and box were finished in a sand and dark brown coloured cloud leather with the album cover itself in the popular “crystal glance” finish. 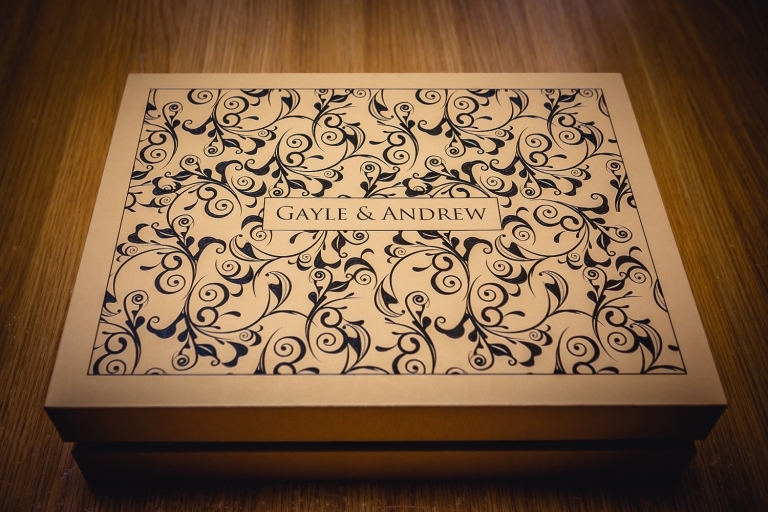 The box was highlighted in my own scroll design in raised and varnished dark brown, and finally a dark brown ribbon to match.